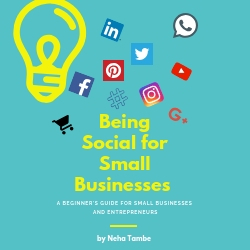 I am a solo entrepreneur and a budding trainer. I work from home. By the time I reach the end of the second sentence the expression on people’s face changes from Awesome to Oh! Yeah? Because even today, if you are working from home you are considered to be a non-serious, somewhat dreamy non-achiever! You can call yourself a start-up and work from your home garage (remember Google) but you can’t be a mom and working from home. You have to go out, to do some real work! People consider you to be on a paid vacation, if they know you work from home! Working from home means you work at your leisure and are not really bound by your office. While it is true that work from home offers a certain amount of flexibility, assuming that people work for 2 hours in a day and laze around while still getting paid a full salary is just a joke. This is a misconception among your family or friends. Just because you are home, it is assumed that you will be available to entertain guests, join them on last minute shopping spree or kitty parties. While someone who is working from home, might be able to squeeze in such activities if they are informed beforehand that does not mean they can join in at the drop of a hat. A person who is working remotely is compensating for the time lost by working late or squeezing time in some other time slot. I hope we start looking at those working from home as respectable employees rather than someone who is just wasting their time. Remember there are a lot of struggles that a work from home employee or a solo entrepreneur face. Be the wind under their wings rather than a stone that weighs them down. I agree with the thoughts shared, completely. There are so many misconceptions about work from home. In fact, I believe it is more challenging than regular office work. There’s so much of juggling and multi-tasking to be done. And the worst is that this work isnt taken seriously sometimes even by your own family and friends!! Absolutely, work from home is still not getting enough importance. They are assumed to adjust their schedule as per the situation. Why? Because they don’t have to step out of the house at 8:00 sharp. They can start their work at anytime of the day. But the reality is, they have to be more organized. I so much agree with you, working from home calls for some flexibility but it doesn’t means that one is lazing around most of the times. It calls for more professionalism rather. This happens a lot and almost everywhere in the world. But still, ladies living around me are in families and working from home. Someone takes tuition or runs a boutique; in some of the other ways, they are independent. Still, this society is a mixture of opinions. I completely agree with the points here. Working from home is not at all what people imagine it to be. In fact u end up working more than the ppl who work on fixed office hours with multiple responsibilities to be fulfilled simultaneously at home. 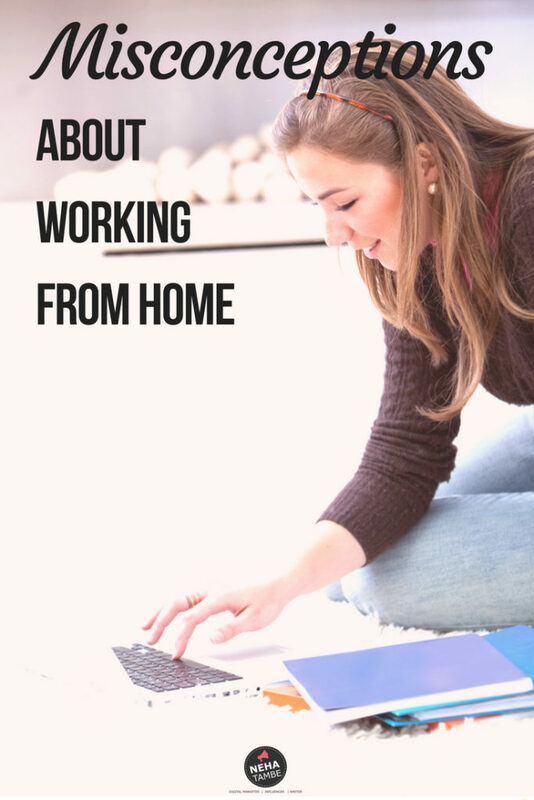 Agreed, many times working from home is looked at as a privilege and more leisure time. But reality is different. Thanks for breaking the myth. Great post for all WAHM. It’s multitasking and dual working for the one at home and I say hats off to all women who manage this successfully. At home, it’s more difficult because people inside the house only don’t take you seriously. Ha ha ha! I can so relate to this article, I get all those statements when people come to know that I work from home. But I think pressure and efforts are doubled when we work from home, as it becomes more of multi-tasking work. 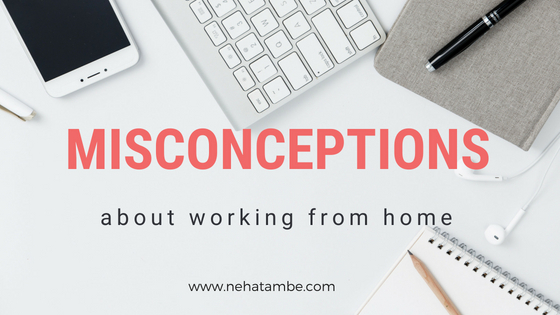 Such a well described post Neha, you have picked us the topic which clearly shares the misconceptions of work from moms. Being a mom itself is a daunting task, and on top of it additional professional work is double targets & management. Working from home is better choice when you have a kid specially. But at the same time people have some misconception too. Here tou are nor with the company tag rather you have to build up your own identity so the pressure is double and you have more responsibilities too. It was as if you poured my heart out love. Working from home in fact calls for twice the usual effort and dedication as there are multiple things to distract you. All the points are bang-on. Before motherhood, for a certain project I was working from home and the people tend to be so ignorant about it. They would ping at odd times and expect things to be done. Thankfully, my client understood the reality and made it a point that I am not bugged. You burst the bubble for good! People need to start using their head on the matters of work with profound changes. I work from home and I don’t even finish till my husband gets back from work plus the home chores and what not. Super agreed with you! Great post! its really weird to see people look down upon work from home (specially if they are also moms). But there’s no reason to it. I give a straight face to them. Excellent post , agree with you , People cannot understand that we are doing a balancing act by doing work from home and blogging is something which is not taken seriously . Very well articulated. People actually do not want to understand the seriousness of work at home moms. Firstly moms have to play ‘n’ number of roles at home and then the added pressure of work. Let there be misconceptions . Keep working boldly all you Work from Home Moms. You rock ! Ahh I also wanna be working from home in the next few years .Wish me luck ! Your blog is so full of activities. Indicates that you are a very busy person. If anyone things it is free time to work from home, show them your blog. It is not true those who go to office work all the time. They take lunch break, coffee breaks, gossip, and have extended meetings where nothing much gets done. Only thing is office goers have a fixed time to reach office and many also leave at a fixed time. By contrast, a free lancer must be self motivated more so when he / she has to find work. He has to keep himself engaged and be ready to tackle any challenge with varing degree of difficulty. So I agree with you that working remotely is not getting a pay cheque without doing anything. You are absolutely right in sharing these words of wisdom Neha! Many women who work from home are looked down upon by friends and family! This is SO true. I have been discussing this so much on my blog and vlogging channel… after a point, it gets frutrating. It affects your own self confidence and self motivation… When would people stop being so judgemental about the work they don’t understand? I wish I could tape this around my room, email it to all my clients and relatives and help them understand the kind of word I am doing. So true. I am a WFHM and people always assume I have time to do everything. Whereas the reality is, handling a toddler and working from home is really challenging. I can feel this ! ! Only a WFH person cam understand another WFH person.